Victor Danevich is the CTO System Engineering at Infoblox where he manages the worldwide Pre-Sales System Engineering teams. In his current role, he responsible for bringing the voice of the customer and aligning or product development priorities with our Product Management and Engineering teams. He is an established Network Architect and Design Engineer with specialization in DNS, DHCP and IPAM (DDI) for large scale cloud and virtualization infrastructure technologies. His background and experience have helped hundreds of companies design and build highly secure DDI network services while reducing the risk and operational complexity. 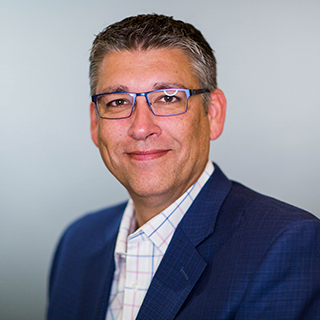 Prior to joining Infoblox, Mr. Danevich has held senior management positions at Storage Networks, International Network Services, Ernst & Young LLP, Harvard University and Lockheed Sanders. Chris Kissel is Research Director in IDC’s Security Products group, responsible for cybersecurity technology analysis, emerging trends, and market share reporting. Chris’ primary research areas are identity access management (IAM) and security and vulnerability management (SVM) platforms. His cybersecurity research extends beyond premises-based solutions and also includes the establishment of identity across heterogeneous networks (including cloud environments), and the role of analytics pertaining to SVM. Chris is also a frequent speaker, presenter, and moderator at industry conferences and contributor to major business and technology media outlets. Craig Sanderson is the Senior Director of Product Management for Infoblox security solutions. Craig has been in the security industry for 19 years in a number of roles including Technical Consultant, Solution Architect, Product Manager and Business Development manager. Having worked on a range of security technologies, Craig is now focused on developing solutions that prevent the abuse of DNS and enabling customers to leverage their network infrastructure to better secure their data, assets and people. Michael Katz has broad experience in information security as an entrepreneur, systems engineer, sales lead and cyber security specialist. Mr. Katz is currently a product sales specialist at Infoblox focusing on cyber security solutions. Mr. Katz founded RAE Internet, the US distributor for RAV Antivirus, which was acquired by Microsoft in 2005. Mr. Katz followed up RAE Internet with Mailspect, an email security and compliance platform, and then MatchMyEmail, a cloud email business intelligence service. 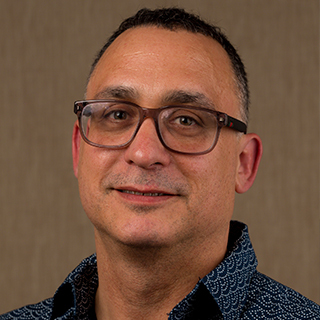 Mr. Katz has worked in cyber roles at Juniper Networks, where he focused on automated security architectures in financial services, Anomali, A10 Networks and Cisco. 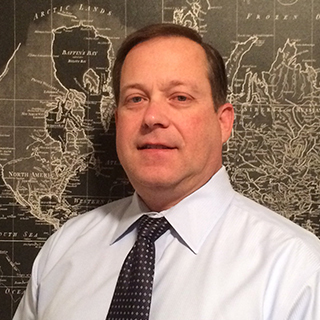 Chris Usserman is a principal threat intelligence subject matter expert bringing 30 years of combined intelligence and cyber operations experience. He currently assists clients with incorporating cyber business intelligence to mature client cyber security programs. Chris speaks on the subject of DNS and cyber security at conferences around the world. Ali Sleiman is the System Engineering Director for the Middle East, Africa & Turkey region at Infoblox, the global leader of DNS, DHCP and IP Address Management solutions. He is an accomplished technology professional with over 23 years of experience in IT. Prior to joining Infoblox, Ali played key roles in technical management at several leading technology companies and startups including Xerox, EDS, Pictometry International and most recently providing financial software and security solutions at ConServe. Ali has solid abilities to build professional relationships and develop people and align business with success. Ali received his B.S from State University of New York and is currently working on his MBA degree. Andrea Rossini is a security minded professional with a passion for cybersecurity that has grown since the beginning of his career. That career spans over 15 years and includes positions as a consultant, architect and manager in system integration, consultancy and security technology companies. In his current role at McAfee, as a Regional Solution Architect, Andrea brings his knowledge of the wide McAfee portfolio and consultancy skills together to advise large customers on security solutions and through leadership by example helps create a solution-selling culture in the organization. Andrea has been with McAfee for over 10 years and previously held positions in Professional Services and Sales Engineering. Thanks to these wide-ranging experiences, he is highly skilled in analysis, design and implementation of ICT security solutions as well in project management and service delivery. A strong technical background, joined with management experiences, he understands how to deliver enterprise security solutions to meet business needs. Andrea holds a Degree in Computer Science and a Masters in ICT Security. Additionally, he holds ISC2 CCSP, ITIL and CompTIA Security+ certifications. 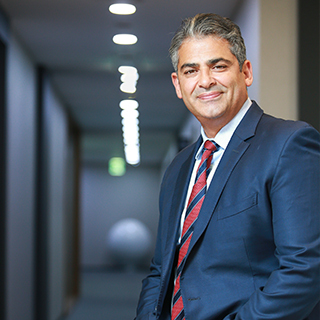 Dr. Cherif Sleiman is the Senior Vice President, Infoblox Europe Middle East & Africa and Asia Pacific where he is responsible for driving the strategy and growth for the region. 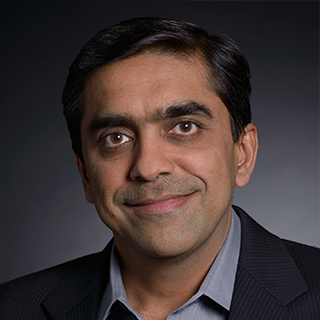 Prior to joining Infoblox, he worked at Cisco Systems as Managing Director leading the Enterprise and Advanced Technologies Lines of Business for the MEA region. Sleiman has also served as Chief Technology Officer of the Enterprise Business Unit at Nortel Networks where he was responsible for R&D strategy for a variety of technology areas including Routing, Switching, Optical, Wireless LAN, IP Telephony, and Security. Security Professional with more than 20 years of experience, having developed positions as Consultant, System Engineer and Presales Manager at McAfee. In his current role, Carlos works as a Security Advisor for customers in the Spanish market. Carlos Muñoz holds a degree in Computer Science, holding CISSP, CRISC, CISA, Lead Auditor and CompTIA Securty + certifications. Mohammad Al Tenbakji has been for Infoblox since 2016 and he is currently designated as a Pre-Sales Systems Engineer at Infoblox KSA. Prior to joining Infoblox, Mohammad worked for A10 Networks as a regional technical consultant for MEA covering pre-sales and post-sales for around 3 years in addition to several local systems integrators prior to A10 Networks. Throughout his career, he managed to capture various knowledge across different technologies which allows him to deliver added value consultancy to our valuable customers. Jose started at Tenable in 2018 as first employee for Iberia region, responsible for developing the Enterprise business working with end users and channel partners. His background is in the Cybersecurity and Communications industries. Prior to Tenable he has worked in similar positions for Gigamon, Zscaler, Juniper, and Blue Coat / Packeteer. Jose has a Masters in Telecommunications Engineering degree from Madrid´s Polytechnic University. Peter is currently the Technical Director for Infoblox EMEA. Netcordia,HP, Vodafone and British Aerospace in various progressive Technical roles. Abdelnaser Eid is network security consultant at Tenable network security looking after the pre-sales operation in the Middle East region. He has been in the IT industry since 2006, Before being a sales engineer he worked in operations and project delivery teams and during his journey he gained a great experience in Cybersecurity and data communication by working for the leaders in these Domains like Cisco Systems, Huawei and FireEye. 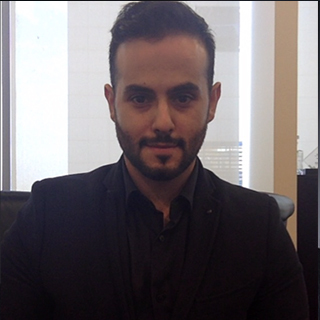 Robert Lourenco is a regional sales engineer focusing on SIEM and Security operations for Middle East & Turkey. Assisting customers to build capabilities around security information and event management and security operations. Helping customers implement new or mature existing implementations. Knowledge sharing and content creation around visibility, threat control mapping, integrations, automations and general security operation effectiveness and efficacy is key to the responsibilities held. Robert has a 19 years of IT of which 11 years is in cyber security. He lives in Dubai holding a CISSP, CCSP along with his diploma in accounting and business management. 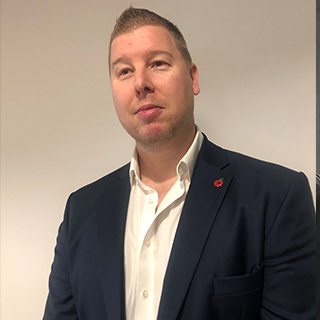 Jason Clark is a Sales Engineer for Tenable Network Security, engaging with medium and large businesses to understand their requirements for vulnerability management programs and to advise on their deployment strategies. Trained as an ethical hacker, Jason’s deep understanding of how attackers approach a breach has empowered him to help his customers achieve and maintain a trusted state for their IT infrastructure and he understands how good security can work with existing processes in all types of organizations. Prior to joining Tenable, Jason spent 8 years working for two other large multinational security vendors. Information Technology and Security professional with more than 15 years of experience acquired through working for different institutions in the Middle East region across different sectors (healthcare, FMCG, education, integrator and banking) in the domain of IT support and systems administration, operations and projects management, consultancy and security. Walid has managed multiple projects on PCI DSS compliance, Business Continuity and Disaster Recovery. Walid currently holds the position of Senior Security Engineer at Tenable for Middle East and Turkey where he helps customers and prospects in addressing their IT security requirements and business objectives with respect to Cyber Exposure including Vulnerability Management, Compliance Assessments, PCI, Container Security and Web Application Security. Amjad is an exceptional Cyber Security professional with 14+ years progressive technical and business experience in IT Security with strong Consultancy and Services skills. Worked for different Security vendors and Contributed in the success of many key projects. Also, accomplished many industry leading certifications including: CISSP, C|EH, ISO27001. As Director of Cyber Intelligence for Infoblox, Sean Tierney leads the efforts to develop and refine threat data; delivered to customers as machine readable, actionable intelligence. His team collaborates with industry peers, Fortune 500 companies, and government agencies to identify emerging cybersecurity threats. 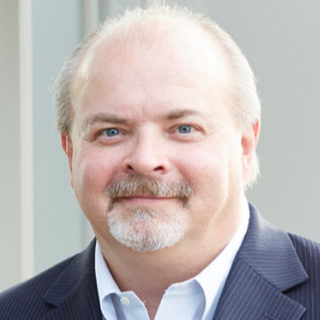 He has more than 30 years operational and intelligence experience and came to Infoblox from Morgan Stanley where he was Executive Director of Global Computer Emergency Response and Cyber Intelligence. He has also served in technical cybersecurity and leadership roles at UBS AG, JPMorgan Chase, and Intel Corporation. Sean holds and M.S. in Computer Science from the University of Washington, a patent in cyber intelligence fusion, and multiple security certifications. In a career spanning more than 20 years, Dr Malcolm Murphy has witnessed first-hand the evolution of the Internet from academic collaboration tool to the must-have utility we all take for granted today. He started his career building network and security infrastructure for one of the UK’s largest ISPs, before subsequently working for a number of networking and security technology companies. In the late 1990s, Malcolm developed a proof-of-concept mechanism for using DNS as a covert communications channel. If there ever was a good reason for doing this, he can’t remember what it is. But he freely admits that it was nowhere near as sophisticated or effective as the techniques that are being employed today to attack and exploit DNS. 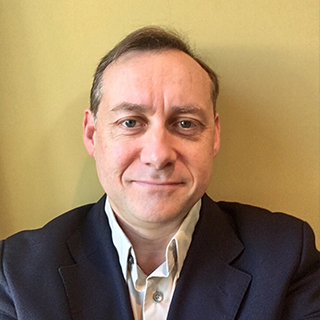 Malcolm has held a number of technology and sales leadership roles at Infoblox, working with Enterprises and Service Providers to help improve the security and robustness of their cloud, network and datacentre operations. Trusted Advisor & IT Security Technical Sales Specialist since 15 years. In Tufin, we provide Network Security Policy Orchestration for the World’s Largest Enterprises: Managing security policies on multi-vendor firewalls & cloud platforms and assist our customers to be compliant with network security best practices and regulations (PCI-DSS, GDPR, …) Tufin provides visibility, compliance and automation capabilities from traditional networks to hybrid networks (private cloud, public cloud, microservices). 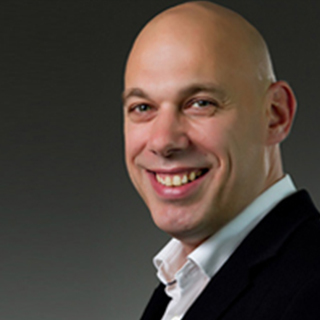 Koen Chiau is Regional Manager at Aruba, a Hewlett Packard Company where he is managing Aruba’s Security Solutions for the BeNeLux & Nordics Market. Koen brings a vast experience from various Tech Companies such as Symantec or Altiris. 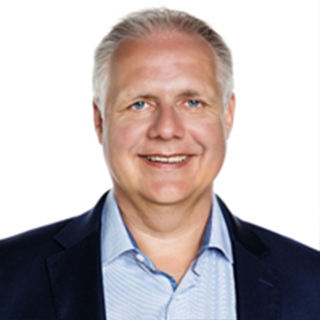 Frank Ruge has joined Infoblox as Director Sales for the Central region in Europe. Previous to this position, Frank worked in two startups – one for high definition video conferencing as VP education & healthcare for EMEA, and in a German startup to scale business internationally into EMEA and the US. Prior to that, his career at Cisco Systems spanned nearly 16 years and has included roles in Business Development for European and Emerging Markets, Global Marketing responsibility for public sector, and a number of sales and account management positions in Germany and the US for education, state, federal authorities, and defense. Frank began his career with Cisco in 1996 as a Systems Engineer, so he has gained a perspective on all aspects of the business. Prior to joining Cisco, Frank worked at a research subsidiary of Deutsche Telekom and was responsible for the development of new services, and also held a position at the Technical University of Berlin, managing European research projects in collaboration (video, audio, data sharing). Technology Director for Western Europe, Gary joined Infoblox in 2010 and leads a team of system engineers. He often speaks at industry events and on webinars and has over 20 years of IT experience working across multiple verticals including finance, public sector, media and service providers. Gary is an active member of ISC(2) and holds a CISSP. 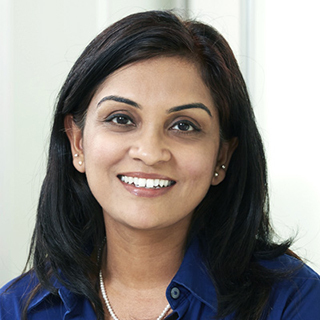 Krupa is Director of Product Marketing at Infoblox. She has 18 years of experience in technology in various roles including software development, product management and product marketing. Currently, she is responsible for messaging, positioning and bringing to market Infoblox’s security solutions that ease security operations and provide DNS based security. She has an MBA from University of California, Haas School of Business and a Computer Science Engineering degree. 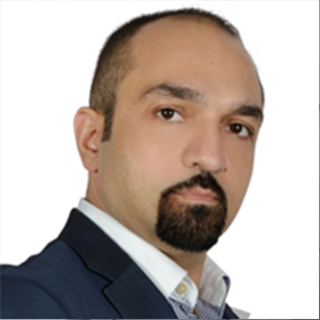 Ashraf Sheet is the Regional Manager, Middle East for Infoblox, the global leader in DDI and Secure Network Control. 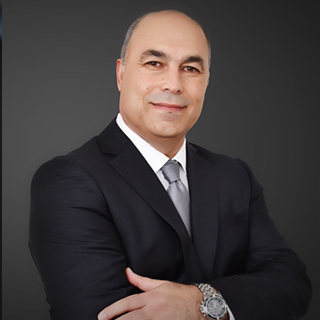 Ashraf is a security expert in the Middle East and has been in the Network and Security Industry for the past 17 years during which he held various progressive roles including a senior security consultant, leader for Managed Security services, and head of Security Business Unit for local and multinational companies. Throughout his career, he managed to capture various knowledge covering networking, systems, and security across different vendors which made him a trusted advisor to many critical customers in the banking, energy and government sectors. 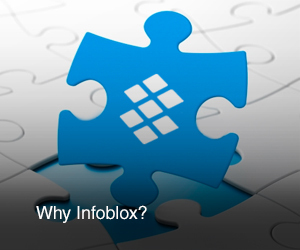 Juanjo Martinez is the GM of Southern Europe for Infoblox. He has held multiple sales leadership roles in the networking and security industries over the last 20 years, including serving as President of the Cybersecurity Commission of AUTELSI (The Spanish IT users and CIO Association). Currently he’s focused on helping customers protect their users and their assets by understanding the power of DNS based security and adopting it. Geoff is Senior Manager, WW SME Group at Infoblox. He is an Architect and Systems Analyst, and involved in the design and integration of high performance computing & communications based systems. He is currently a Distinguished Engineer and Senior Manager of SMEs for Infoblox Inc. where he is responsible for design, development and securing of systems for large scale Network Intelligence Infrastructures for Fortune 500 companies. Markus Handte is the SE Director at ForeScout for the EMEA region. Before joining ForeScout Markus held various SE and SE leadership positions at Aruba Networks, A10 Networks, Infoblox and F5 Networks. Most recently he was the EMEA SE Director for the security business group at Aruba/HPE and the EMEA SE Director for Aruba Networks. Markus started his career as a SE at a German Reseller in 1997. He has more than 20 years of experience in the Networking and Security industry.